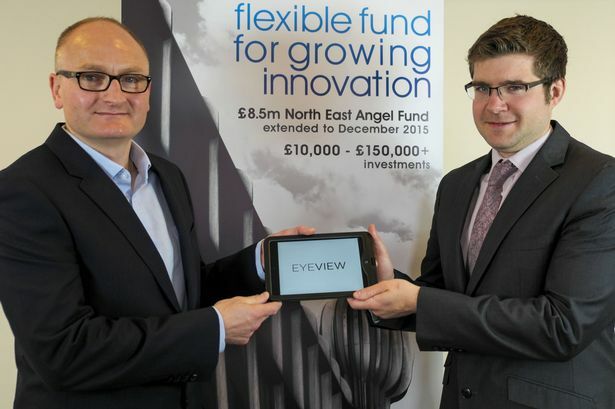 Mincoffs Solicitors clients EYELEVEL Creative secured investment to launch their EYEVIEW app which allows developers to view photorealistic plans on site. Digital visualisation expert EYELEVEL Creative has secured a five-figure investment sum to support the launch of an app it thinks could revolutionise the architecture industry. The Newcastle-based firm was founded by Neil Clark who has worked for architecture firms and computer games maker Electronic Arts. Now Mr Clark has developed EYEVIEW, an app which allows developers to see what their buildings will look like, on-site and in real time. Users will hold an iPad up at the location to view it with superimposed 3D models of architectural designs. The technology can be used from multiple viewpoints and gives developers an flavour of how their plans will evolve. It will be available in Apple’s App Store from September, although a beta version can be requested from the firm. Investment has come from the Finance for Business North East Angel Fund via fund managers Rivers Capital Partners. Mr Clark, managing director at EYELEVEL Creative, said: “EYEVIEW is the culmination of all our experience in the industry and we really believe that it is the perfect solution to a time consuming and relatively expensive process involved in modern architecture and planning. EYELEVEL specialises in creating photorealistic computer generated images for the design and property industries. Mr Clark and his team have worked on images for the likes of the Olympic Pavilion in London, the Toffee Factory in Newcastle and for projects as far afield as Doha and Malaysia. Most recently EYELEVEL provided images for the Stephenson Quarter development in Newcastle which have been displayed on hoardings around the Crowne Plaza construction site. The EYEVIEW product aims to streamline the visualisation process as in some cases 3D images can take up to two weeks to create. Large scale planning applications sometimes require as a many as 40 images from different viewpoints – adding cost to each build. Dr Michael Dickens, fund manager at Rivers Capital, said: “EYELEVEL Creative have an innovative and ingenious product that perfectly blends their professional experience and the latest technology to redefine the way design processes are pursued in their industry. The Commercial team at Mincoffs Solicitors advised EYELVEL Creative on this deal.